Opened in 2004, Citizens Bank Park features Ashburn Alley, Bull's BBQ, and a 50-foot Liberty Bell. If you’ve been fortunate to experience a significant moment at the ballpark, let our Citizens Bank Park Ticket Frame capture the memory. So whether it was your child's first game, a marriage proposal, seeing your team play an away game or there was a significant on-the-field moment, from wherever the day's magic was born we have a Ticket Frame for you. Officially licensed 8x10 photo of the ballpark you attended. 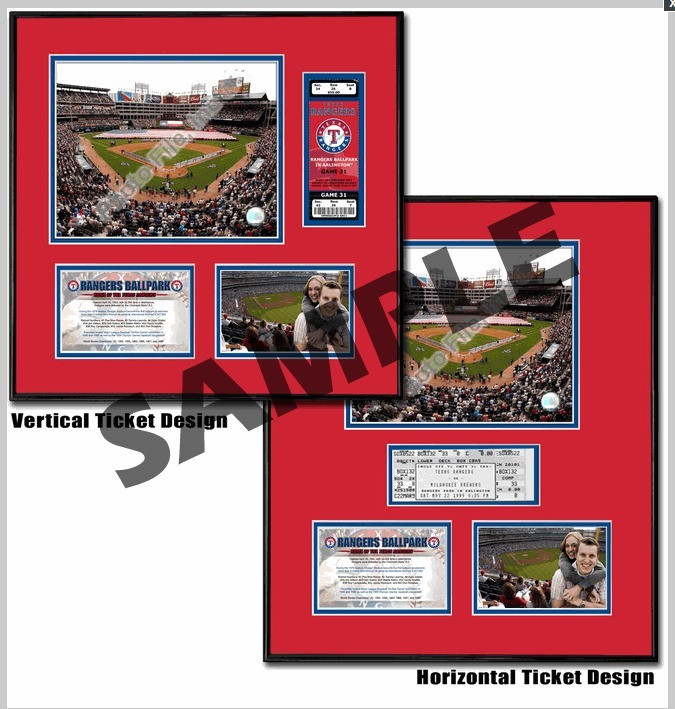 Place holder for your game ticket that utilizes professional-grade mounting corners to preserve the condition and value of your ticket. Your ticket is the one item you can point to and say "I was there. That's My Ticket." Place holder for your standard 4x6 personal photo taken during your ballpark experience. Fact box trumpeting the significance of the ballpark and/or team history. Double matted in your choice of team colors (in case you saw your favorite team play on the road) using white-core mat board and a high-grade metal frame for a board room-quality presentation. Overall size 16"(W) x 20"(H) using a horizontal ticket. Contact us to use a 16"(W) x 16"(H) with a vertical ticket!